Mimosa is a variety of 400 types of combination of shrubs and herbs; it belongs to the minor family Mimosoideae of the major family Fabaceae. Mimosa flower meaning is a derivative of the Greek word…. (mimos), which means ‘mimic’. This type has two prominent varieties. 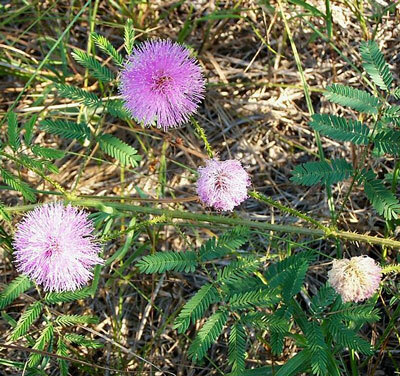 Of these, Mimosa pudica clasps its leaves when it comes in contact with heat or when you touch by hand. It belongs to South America and southern and central parts of America. People also cultivate it in other areas, because of curiosity and grow them as an outdoor plant in the tropical sun and as indoor plants in temperate zones. The moment you touch the leaves of this plant, they close. A few mimosas open their leave during the day and close them at night, Jacques d’Ortous de Mairan conducted experiments on Mimosas in the year 1729 and performed the first proof of biological clocks. The Mimosa Flower blooms have 10 or even less stamens. 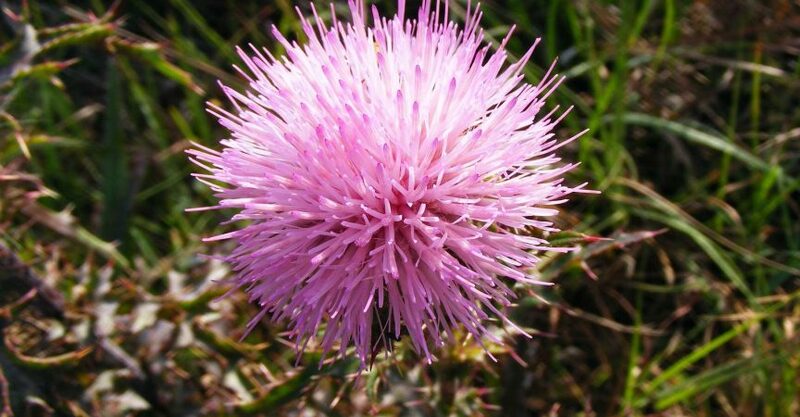 What seems to a single spherical flower to botanists is in fact a bunch of several individual ones. Mimosa has heptanoic acid to a certain level. Grow your Mimosa indoors by placing them near your window where direct sunlight strikes. Mimosa also grows well in summer when taken outside and exposed to bright light. Mimosa favors a moderate room temperature of 65 to 75°F. Plant them in loamy and properly drained soil, enriched with peat moss for enhancing drainage. With the aid of a garden fork or spade, turn the soil in the planting area to a depth of 18 to 24 inches. Further sieve the soil through a metal mesh to separate it from sticks, rocks, clods, weeds and roots that hinder the growth of the mimosa tree. In case the soil is clayey, sultry or heavy, distribute two to three inches thickness of coarse grain sand on top of the soil. On the contrary, if it is sandy and light, distribute three to four-inch thickness of old compost, manure, leaf mold or other similar types of material. Mix these added components into the soil with a garden fork or spade. Make a hole 10 inches wide and 10 inches deep for planting your Mimosa, provided you are planting from a 1-gallon pot. In order to remove your Mimosa from the container or pot in which it is growing, dig out at the sides of the pot, starting from one side of the draining hole, right through its circumference to that hole, with a pair of multipurpose snips. Separate the sticky roots and clear them by hand; if you find entangled roots, cut them off using a pair of snips. Plant your Mimosa down your planting hole. Ensure that the upper end of its root ball is in level with the nearby garden soil. Top the hole with soil, firm the soil down the hole in the process of filling. In case you have removed the potted plant from a 1-gallon pot, then water your mimosa tree with water of 1 to 2 gallons. The mimosa is a tree, which will reward you for placing it in your yard where it gets most sunlight. Meyer Lemons adore he sun and they like hot weather. Never forget continuously to water your mimosa. Prevent the soil from getting totally dry, water it before it looks dry. In spring and winter, you see the leaves that are silver in color, with their long, fragrant, yellow colored flower heads. Flowering period: February to April. Cut off the withered stems of the Mimosa after it has completed flowering for the season. End of winter and middle of spring is the ideal time to cut the bunch of flowers from the plant for cut flowers and for your bouquets. 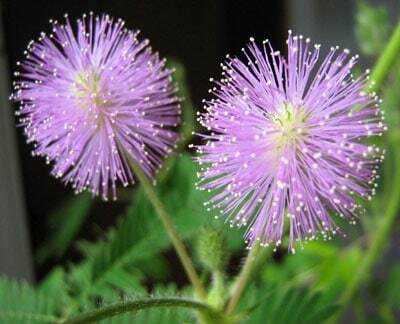 The whole world cultivates the Mimosa Flower for the cut flower industry, either in a spacious green house shelter or outdoors in a suitable climate for a second harvesting.